Artemis Art’s 2016 art fair schedule begins early with our participation in the inaugural Singapore Contemporary Art Show, January 21 – 24, 2016, at the Suntec Singapore Convention and Exhibition Centre! We will be located at booth B05, and will feature artworks from three artists, one each from Indonesia, Malaysia, and Vietnam. Artemis Art will be the only Malaysian gallery participating in this art fair, held during Singapore Art Week, when collectors and art enthusiasts from all over the world converge to Singapore, Southeast Asia’s financial and services capital, and arguably an important world art hub. Stay Tuned! We will be providing more details about the art fair and what we will be showing there progressively as we approach the fair date. In the run-up to the art fair, Singapore Contemporary has been constantly issuing press releases for the art fair, and in their 4th press release (dated November 24, 2015), one of our participating artists, Dedy Sufriadi, was prominently featured. We’ve included the feature page from the press release below. To view the complete 4th press release, click on this link (opens a PDF file in a new window/tab). 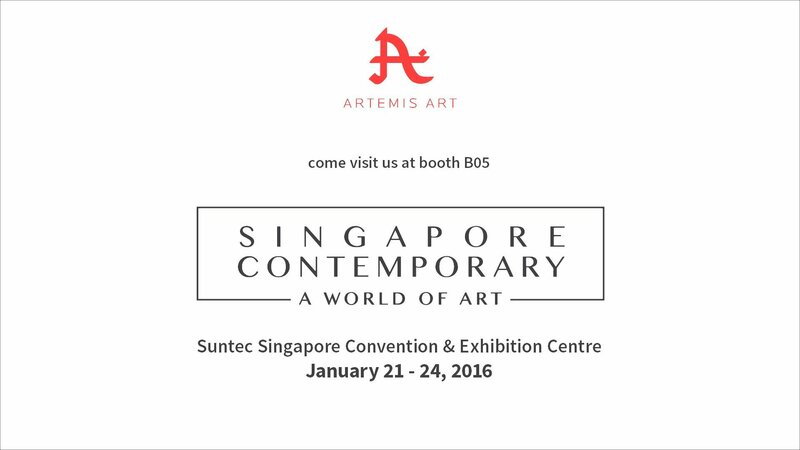 More information about our participation in the inaugural Singapore Contemporary Art Show will be issued as we get closer to the fair date. In the meantime, if you have any pressing questions, please feel free to send us an enquiry, or email us.